Once a month on the third Tuesday SBYC gets together for dinner and presentation. Speakers range from Authors of sailing and boating books to members presenting their cruising trips. 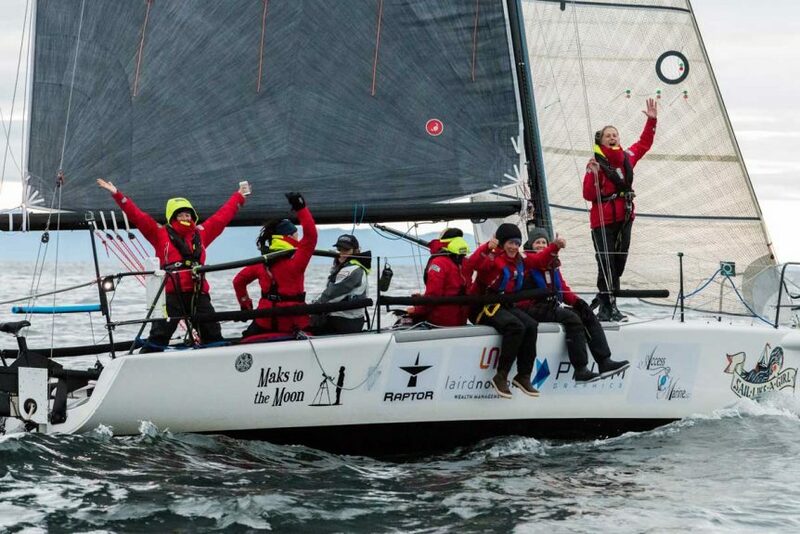 This month in honor of women’s history month we welcome Team Sail Like a Girl. These 7 amazing women made history, not only did they enter a sailboat into the 2018 Race to Alaska (R2AK – a non motorized unsupported 750 mile race from Port Townsend, Washington, to Ketchikan, Alaska – 750 miles) they won it! Here’s the R2Ak report of their finish, it’s well worth a read. 5:30pm Meet and greet; the bar in the meeting room will be open.